The great thing about writing open source code for your day job is that you have to be very targeted. I only spend time writing code when it saves me time and helps us win deals. 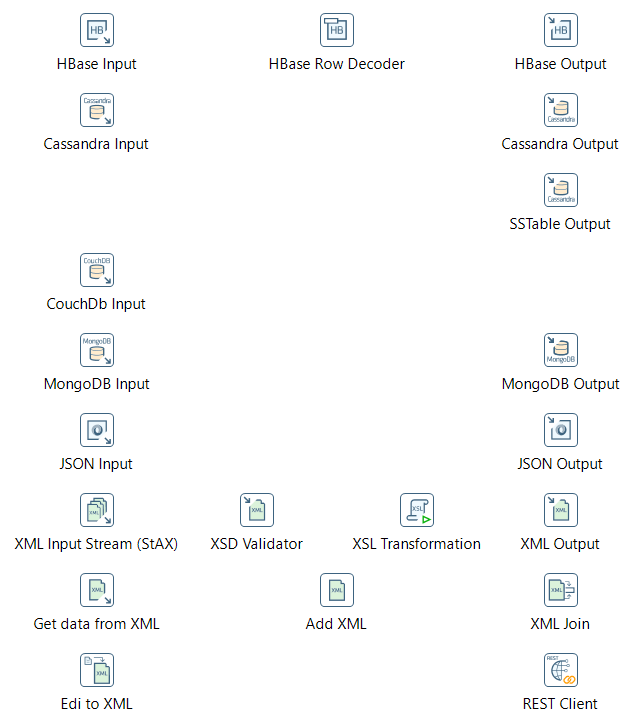 Since I started at Pentaho, now Hitachi Vantara, nearly one year ago I’ve been passionate about pushing on NoSQL integration. The NoSQL market is, after all, equal in size to the Hadoop market at around $500m per year. If you compare combined revenues for Hadoop players, they are roughly equal to the combined revenues of the NoSQL companies. Problem is of course, there are really only three hadoop vendors, and about 15 decent NoSQL vendors! So the NoSQL market is more fragmented. This has an interesting side effect – NoSQL companies are too small to invest much R&D in tooling (rather than APIs) to get data in and out, to incorporate machine learning engines (“doing more with your data”), and creating easy to use analytics applications on top. Happily enough, that is a side effect Pentaho software can definitely help with. In the last 4 months alone I’ve been asked directly by a dozen customers and prospects about integration with different NoSQL databases. I know many colleagues are having similar requests. “Ah!” I hear you say, “but they’re basic connectors! I bet they’re crappy!” – Well, they’re not fully featured using all the features of the underlying database (yet…), but they do support tens of thousands of record operations (on average executing around 3500 per second on my little laptop). They support connection pooling, batching, and asynchronous streaming where supported. So they’re pretty serious connectors. What’s next for Pentaho and NoSQL? Interestingly, giving the basic connectors away (They’re all Apache 2.0 licensed!) seems like a great way to generate interest and be certain to be down selected and then win business. Customers like it when you can react quickly to needs – not having a connector isn’t an issue, so long as you can prove how quickly it is to build one. If you don’t have a connector though, and can’t show how quick you can build one, then you lose the deal right there, and right then, in the first face-to-face meeting. We make our money by providing the Pentaho Enterprise Platform which can do a whole lot more than just move data around. From data preparation, data quality fixes, through to feature engineering, data science analysis orchestration, predictive maintenance, and self service dashboarding/analytics, and more besides – there’s plenty of paid-for functionality to warrant a significant license revenue spend. Given I’ve written 3 NoSQL connectors in the last 3 months, I’m pretty certain we can get all the top 15 in the db-engines rankings supported in 2018! That’s the goal anyway, so keep an eye out for all our connectors! If you are a potential customer and would like to see a new system added, please do get in touch with us in the Pentaho team within Hitachi Vantara. Previous Post: Who cares about NoSQL?